Used by the Ahousaht people for thousands of years, Walk the Wild Side Trail is an 11km escape into the remote wilderness of Clayoquot Sound. First restored in the early 1990's, Walk the Wild Side Trail has developed into must-see ecotourism destination for those visiting Tofino and Ucluelet. Take a tour through the Maaqtusiis reserve and then head out on to the trail! If you are planning to spend time on any part of the trail visit the Wild Side Trail office, located at our Ahous Fuel Stop, to log your route and itinerary, or email to info@wildsidetrail.com. 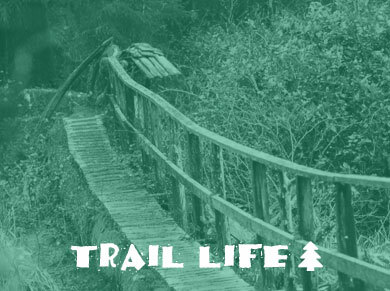 There is a $25 fee for accessing the trail that is payable at the trail office, via paypal online, or to one of the authorized trail staff. These fees pay for trail staff and maintenance needed along the extensive boardwalk system to help keep everyone safe. Conditions Update: Be advised the Mt. Flores Trail is not passable at this time. Round trip hike is 22km of fabulous beaches and boardwalks on Flores Island! This hiking trail is located in magnificent Clayoquot Sound just off Tofino on the west coast Vancouver Island, British Columbia, Canada. 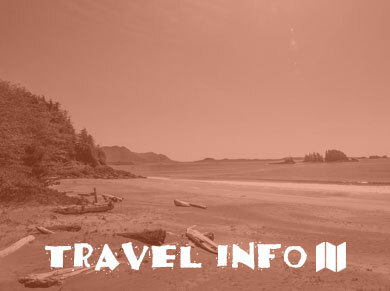 See wildlife, birds and marine life on this ecotourism destination hiking trail, Vancouver Island, BC. Make the Wild Side Hiking Trail your hiking trip vacation destination. The Ahousaht First Nation welcomes you and wishes you a "Safe Journey"